In today’s society, it should come as no surprise that teens are always on the move. With those busy schedules, something has to fall by the wayside, whether that’s staying up late after basketball practice to finish a homework assignment or skipping the gym to spend time with friends. However, a new study found that sleep and physical activity are on the decline for many teens, while time spent in front of screens is going up, all of which could affect teens’ health in the long run. The researchers cite the U.S. Department of Health and Human Services, which recommends teens spend no more than two hours in front of screens while getting at least one hour of exercise per day. They also refer to the National Sleep Foundation for nightly recommendations, which encourages teens get eight to 10 hours of sleep each night. Using data from the Youth Risk Behavior Surveillance Survey from 2011 through 2017, the researchers evaluated responses from nearly 60,000 high school students across the country to see how many of these boxes they check in their day-to-day lives. The researchers were most surprised to find that just one in 20 teens were meeting all three of the recommendations. Broken down between teen boys and teen girls, the researchers found that seven percent of teen boys meet all three recommendations, while just three percent of girls do the same. The researchers were most concerned with how these findings can affect teens’ health -- both physically and mentally -- and they think further research should be done to see how these factors affect teens long-term. The American Heart Association (AHA) recently released guidelines encouraging parents to limit their children’s screen time to one to two hours per day, as doing so can help improve children’s cognitive and development skills. Additionally, researchers have found that watching TV, playing video games, or spending any time in front of screens before bed can lead to less sleep for young children and teens. 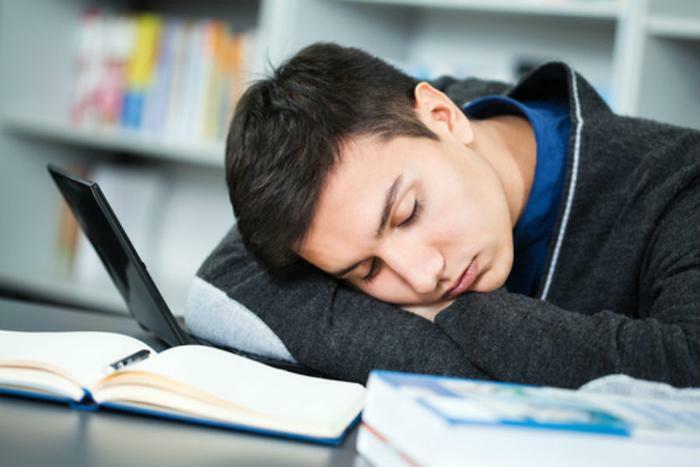 Not getting enough sleep can also affect teens’ decision-making, as a recent study found that teens who sleep less than six hours each night are more likely to engage in risky behaviors, such as drinking and driving or substance abuse.